Additional regional occupations included in the respective instrument for the relevant visa subclass. If you lodged a subclass 457 visa application after 18 April 2017, Occupation list requirements apply to the Temporary Residence Transition (TRT) stream of the ENS and RSMS visa programs at nomination application stage, except where transitional arrangements are available (i.e. lodged a subclass 457 visa application on or before 18 April 2017 or were the holder of a subclass 457 visa or associated bridging visa on 18 April 2017). Visa applicants will now be required to have at least 2 years of work experience in the nomination occupation or a related field. This experience must be gained while working in the nominated occupation of at the same skilled level in the related field. Applicants who nominate an occupation on the Medium term stream will need to achieve at least the following scores in the relevant English language test. Business sponsors who are accredited sponsors can now provide the Department of Home Affairs a letter attesting to the fact that the applicant is of good character and has not been convicted of any criminal offences, this can be used in lieu of providing overseas police clearances. This however, does not apply to Australian Federal police checks this is still a mandatory requirement. There are no longer any exemptions to Labour Market Testing (LMT) based on the skill level of the occupation. LMT is exempt only if an international trade obligation applies. LMT will need to occur and be completed within six months prior to lodging a nomination application or if the nomination application was lodged prior to 18 March 2018 within twelve months. on national radio - that is, radio programmes that are broadcast or syndicated nationally. The Skilling Australian Fund (SAF) that is set to replace the training benchmark requirement is currently still before Parliament. Once the SAF arrangements have come into effect businesses will no longer need to satisfy the training benchmark they will only be required to make the appropriate SAF payment if an associated nomination application is lodged. The minimum period an applicant is required to have been employed as the holder of a subclass 457 or TSS visa will remain at two years. 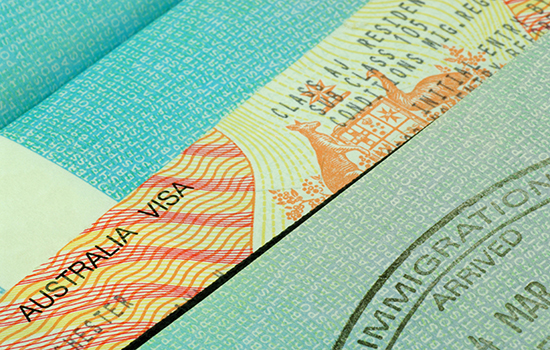 If however, you applied and subsequently were granted a subclass 457 visa /TSS Visa or associated bridging visa after 18 April 2017 the new requirements for transitional apply, this includes (age, occupation list requirements and be the holder of the relevant visa for a minimum period of three years).